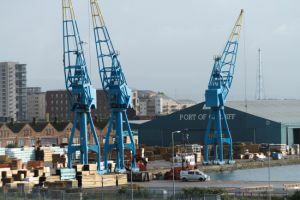 ABP South Wales has invested £400,000 to increase open storage at its Port of Cardiff. The investment will increase the amount of space by 13,000sq ft by redeveloping and resurfacing of a quayside area on North Side, Queen Alexandra Dock. The transit storage area will be used to accommodate growing volumes of timber, steel, and dry bulk cargoes. In 2017, over 93,000 cubic metres of timber and 81,000 tonnes of steel were discharged by ABP South Wales stevedores.